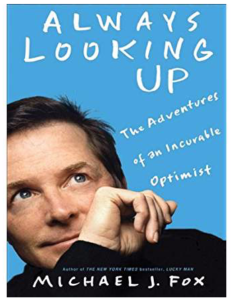 Ever the optimist, Michael writes about dealing positively with Parkinson's. 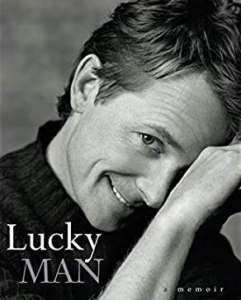 An excellent book ranging from the history of Parkinson's Disease through modern day developments. 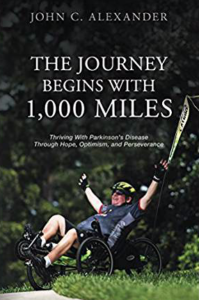 After being diagnosed with Parkinson's, John became an avid cyclist and triathlete. His story is sure to inspire you. 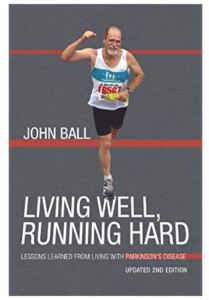 Living Well, Running Hard offers insight into Ball's growth from isolation into a leadership role in the Parkinson's community. ​An easy guide for natural and alternative treatments for PD. In this guide, Dr. Ahlskog uses his 30+ years of clinical experience at the Mayo Clinic to help the PD patient work with their doctor to come up with a treatment plan to best fight their Parkinson's. 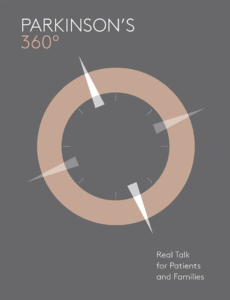 ​This free digital book from the Michael J. Fox Foundation provided inspirational stories from people at various stages in their journey with Parkinson's. 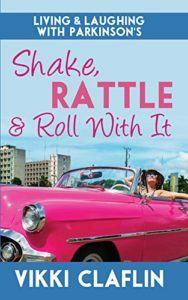 ​Parkinson's Diva by Maria de Leon M.D. 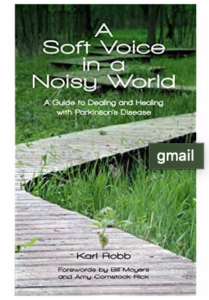 Parkinson's Diva tells of a young doctor's experience of dealing with Parkinson's. Dr. de Leon has been a neurologist, caregiver, and a Parkinson's patient giving her a unique perspective on dealing with Parkinson's. 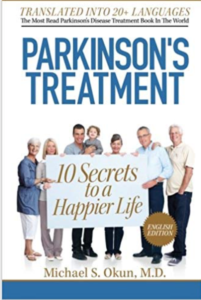 ​Parkinson's Treatment: 10 Secrets to a Happier Life by Michael S. Okun M.D. Dr. Okun is a renowned neurologist and researcher who provides positive and practical treatment options for those with Parkinson's. An inside look at the funny side of living with Parkinson's. 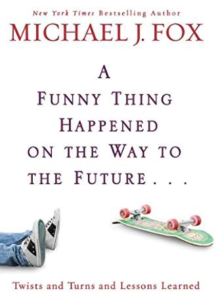 This book will give you some laugh out loud moments.